Pole position in National One once again changed hands last week as Caldy moved to the summit of the division following a late victory over Cambridge. The Wirral-based side are one point clear of the chasing pack, but they come up against an in-form Blackheath on Saturday who are also in the promotion mix. ‘Club’ currently occupy third spot in the division, but they are just two points behind Caldy heading into Round Nine. Second placed Old Elthamians will be keeping close tabs on proceedings in Cheshire when they host Esher while Rotherham Titans entertain Plymouth Albion and Rosslyn Park welcome Loughborough Students to the Rock. Elsewhere in National One, Chinnor travel to Darlington Mowden Park with both sides keen for a victory while Ampthill & District take the trip to Bishop’s Stortford, Sale FC go to Birmingham Moseley and Cinderford face Cambridge. Caldy’s wonderful season continued in Round Eight. The Wirral outfit returned to the summit of National One following a late victory against Cambridge and they now head into the final weekend of October a point clear of the chasing pack. Simon Verbickas’ side have really kicked on after their maiden campaign at this level last year – in which they finished 11th – and they will be hoping to end this month on a high when they host third placed Blackheath on Saturday. Both Caldy and Blackheath have won the most games in the division thus far (6) and the visitors arrive in Cheshire just two points off top spot. James Shanahan’s men have been excellent in recent weeks and they enter Round Nine after five wins from their last six matches. ‘Club’ are joint top of the form guide and they will more than fancy their chances of overcoming the league leaders this weekend. Old Elthamians could look at last weekend’s draw with Chinnor and see both the positives and negatives. The fact Gavin Lach’s side saw a victory snatched away from them in the dying embers of the contest at Kingsey Road would have been tough to take, but it was another decent result for OEs as they sit second in the National One standings. The men from College Meadow are continuing to embrace the remarkable rise they are experiencing, but hoping to disrupt their season will be Esher. The Surrey-based side had won three of their last four matches before last weekend’s fixture with Rotherham Titans, but a heavy defeat at Molesey Road kept Rickey Nebbett’s men in the relegation places. OEs have won all three of their home fixtures so far this term so Esher face a tough challenge if they are to move out of the danger zone this Saturday. In sport, it does take time for new things to fall into place when there are so many changes within a team and for Rotherham Titans, those aspects are now all starting to click. With Joe Barker appointed as the Titans’ new head coach in the summer and with an upheaval in squad personnel following relegation from the Championship, the Yorkshire side began the season slowly, but now that seems like a distant memory. 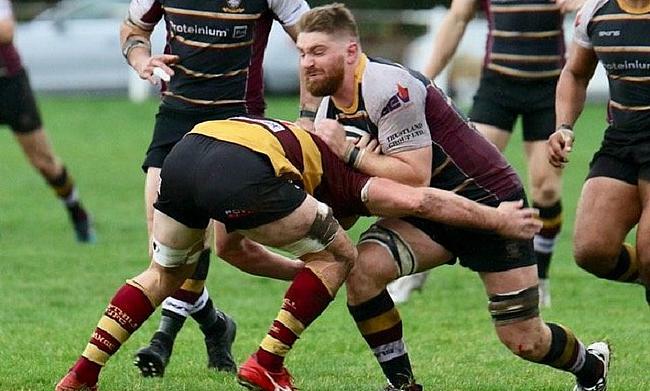 The men from Clifton Lane have won four of their last five games which has propelled them up to fourth in the league standings and just two points off top spot. Next on their agenda is the visit of a familiar foe, Plymouth Albion, with the away side looking to end the month in a positive fashion. Albion and Rotherham last met in January 2015 when both teams were in the second tier and in recent years, Kieran Hallett’s side have been aiming for a return to the Championship. However, this term, they have been patchy and sit 10th in the table after four wins and four defeats. Plymouth have also lost their last two away matches so they will be keen to improve on that record in Round Nine. Successive wins for Rosslyn Park has catapulted Kieran Power’s side back towards the frontrunners in National One. Victories over Birmingham Moseley and Sale FC mean Park come into this clash with Loughborough Students in fifth place and just three points off league leaders Caldy. The men from the Rock will be very pleased with the first two months of their season after fending off relegation last term, but to end October, they face a Loughborough Students side who will arrive in London in a buoyant mood. Alan Buzza’s men picked up their first victory of the season in Round Eight after they defeated last year’s runners-up Darlington Mowden Park and the Midlands side will now be hoping to kick on. The Students remain bottom of the division and 10 points from safety so there is still a lot of work to be done, but back to back wins would give them another major confidence boost. The Oxfordshire club, who were promoted into National One in April, have not tasted victory in October and after an impressive start to life at this level, they will be keen to recapture their early season form when they travel to Darlington Mowden Park. As for the hosts, their mixed season continued last weekend as they lost to bottom of the table Loughborough Students. Last year’s silver medallists are really struggling to find some consistency and after successive losses, the ninth-place side will be eager to end this month on the front foot. Ampthill and District head coach Paul Turner was delighted with his side’s display in Round Eight. After a difficult few weeks, the A’s produced a scintillating performance against Cinderford to return to winning ways and the Bedfordshire side will be looking to build on that eight-try victory when they travel to Bishop’s Stortford this weekend. The men from Dillingham Park currently occupy seventh place as things stand while Stortford head into this clash on the cusp of the bottom three. A narrow defeat for the second week on the spin, the latest being against Plymouth Albion, leaves them just two points clear of the drop zone, but Andy Long’s side have certainly made improvements over the last month. Can they now end October in a positive manner? Sale FC’s 18-match winning streak at Heywood Road came to an end last week. Jonathan Keep’s side were beaten by Rosslyn Park and the visitors became the first side to defeat Sale on their own patch since May 2017. The loss saw the Manchester-based club fall to eighth place in the division, but ahead of this weekend’s trip to Birmingham and Moseley, they are still only six points off the top. It has been a very strong maiden National One season for Sale thus far, but Moseley’s third consecutive campaign at this level has been the complete opposite. The Midlands club have secured just one win from their first eight games and currently, they are six points from safety heading into the final weekend of October. It is far from disastrous for Richard Protherough and his side, but they will be itching to double their tally of victories on Saturday after four straight defeats. In Round Seven, Cinderford picked up a superb win away at Plymouth Albion, but last week, they were brought back down to earth following a heavy defeat against Ampthill and District. Paul Morris’s side will have dusted themselves down and they will be eager for a reaction at Dockham Road when they host Cambridge on Saturday. Cinderford were promoted to this division in April and sit 11th in the table as things stand while their visitors, Cambridge, are one place and three points behind them going into this encounter. Director of Rugby Richie Williams feels that his side are better than their current league position suggests and last week’s narrow defeat to Caldy would have only added to his frustration. The Blood and Sand have won just twice since the middle of September, but their last victory did come on the road so the men from Volac Park will be hoping for more joy on their travels in Round Nine.